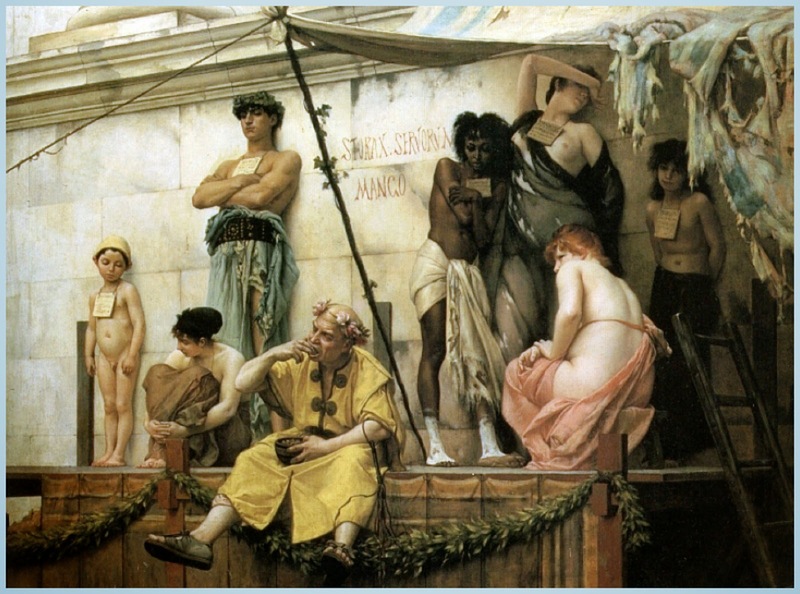 The Slave Market is a painting of about 1882 by the 19th century French artist Gustave Boulanger, who specialized in classical and Orientalist genre scenes. It depicts an Ancient Roman slave auction. It shows the marketing of seven young people, ranging in age from children to young adults, as slaves.